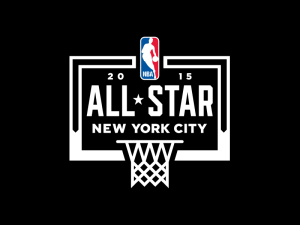 If you’re coming to New York City for the NBA All-Star Weekend (just a few weeks away! ), you aren’t coming just to be present at the events. You’re coming to experience a jam-packed weekend centered on a sport you love, players you admire, skill you respect. And with New York City as your backdrop, you couldn’t ask for a more promising trip. After all, you’ll have plenty of time around the events to explore the city. There are endless lists of how to spend your days when you’re not immersed in the All-Star events. And how you get around this city matters almost as much as where you’re off to. If you haven’t put much thought into your transportation, now’s the time! When you think of getting to Madison Square Garden, how do you envision arriving? Scrambling off a packed subway car (possibly not certain you’re in the right place)? Getting out of a cab driven by someone you had no rapport with? Or departing from a luxury car after a friendly debate with your chauffeur about who was truly the best player this year? You deserve to be in the best of hands as you make your way around town. And you can still make reservations with Bermuda Limousine for your All-Star trip. Subways can be confusing and crowded, disheartening for a big trip to a new city. And cabs can be stressful and difficult to even flag down. With Bermuda, not only will you get from Point A to Point B without a single hiccup, you’ll discover the difference a luxury chauffeur service can make. With a history going back to 1941, Bermuda Limousine fully understands this difference and works tirelessly to provide world-class, memorable service. At Bermuda, we consider the chauffeur to be the most important part of your trip. All of our chauffeurs are carefully recruited to ensure the best time possible for our clients. They will, of course, pick you up on time and get you where you need to be, when you need to be there. But more than that, they will make certain you feel welcomed in this densely populated city where getting lost feels inevitable. Any questions you have about places to go, things to see, your chauffeur will know the answers. While you are here for the All-Star Weekend, we want to make sure every moment is positive. And during your free time from the schedule, we want to get you to as many sites you want to see, places you want to go. Once-in-a-lifetime trips cannot afford to have a dull moment. With each customer’s needs tailored to, you can find the perfect service for you. Corporate, luxury, and executive services are all available for groups and individuals. Further, special occasions such as this warrant custom care for our clients. From the ride to the chauffeur to the schedule, Bermuda will make sure you have exactly what you need. Call us today to arrange your chauffeured service and ensure that your trip is one for the ages.